I have had a barbell quilt on my "someday" list for a couple of years. I’ve had it on several times, then took it off because it looked too hard. Some of the smaller projects show look like something I could do to get started! I’ve admired bargello quilts from afar but never had guts to try one myself!! Would love to try to make a baby quilt or something smaller to build my confidence.!! Making one is on my to-do list. I’ve long had a desire to make a bargello quilt. My mom used to do bargello needlepoint, and those pillows she made are some of my favorites! I really like the beginner tablerunner pictured in the post, so I may have to (finally) give it a try! I have been wanting to quilt one of those strikingly beautiful quilts for a long time. Just haven’t been brave enough to try. I have made two bargello pieces: One about 25 years ago and the other about 15 years ago. I think it is time for another! Bargello looks so interesting and fun! I have not made a bargello quilt. After looking at projects in Steele’s book, I think making a twisted bargello bed runner, or table topper, would be a perfect starter project. I’ve made a small Bargello with an "A" in it for our local sports teams and some flag bargellos which are very popular but I am ready to tackle a bigger one. Thanks. A bargello quilt is on my to do list! I have fabric picked out…but a smaller project to start would be great. Ever since the first time a Bargello quilt I’ve wanted to make one. Just haven’t gotten around to it..
I’ve always wanted to do a Bargello quilt. I’d love to win your book. I’ve never made a bargello quilt. Saw one in a magazine years ago and have always wanted to make it. Maybe someday…… This book would surely help. I’ve always wanted to make one of these and it’s definitely on my to do list. It has such an initial look of complexity, but I’ve heard many people say the end result is wonderful. I started a wall hanging in a class, but did not finish it. Would love to revisit that project and try some more!! Bargello quilts have been on my wish list to try and this book looks like it will supply great information so I can attempt, especially the table runner. I’ve not made a Bargello quilt, I must have one. They are absolutely gorgeous! I took a class in the ’80’s and made two, one large and one small with the left overs. They came out lovely. They are great to make. I have wanted to make a bargello quilt forever–since I saw my first one. seems like other projects got in the way. The cover quilt is stunning, and I like the beginner projects. I have made simple Bargello quilts but want to make a more complex one. I would love to win a copy of the book. I would love to try a Bargello quilt. I love learning new techniques. I made a Bargello tablerunner, was have been hooked for over a year. I have been wanting to make a Bargello quilt for many years. I would be so happy to win this book! Have never made a Bargello quilt, in fact I had never heard of them. But these look like fun. My friends made one last summer and since then I have been looking at them and wondering if I could actually do one! I purchased fabrics for a bargello quilt for my daughter at least a decade ago. . .have been too afraid of failure to start. . .Bargello looks so interesting! I started a bargello about a year ago and it has been hanging on my design wall unfinished ever since. My seams are not matching and it takes me about 30 min to add a row. I need your tips! I’ve tried 2 w no success! I’ve made a couple, love Eleanor Burns’ method of doing half staggers because then there are no seams to meet or match… I did it when it was called Seminole quilting! Love the soft colors in the baby quilt and the loopy outcome…thanks for the inspiration! 10 years and total lack of courage.! I have had a Bargello on my list for several years and the patterns in Judith Steele’s book look like a great place to start! Yes, I have made a bargello quilt. I made a queen size bargello Quilt 20 years ago. I should make another one because bargello quilts are my husband’s favorite. I started a very small Bargello wall-hanging about 10 years ago. Despite the very tiny pieces, everything was going well until the instructions for each row stopped and there were at least 5 more rows to go! The remaining instructions were not clear enough for me to be able to finish it. It’s still sitting a box, waiting for me to try again. The projects in Judith’s book are lovely! I’d love to win a copy – especially since she promises clear directions! Always wanted to make a Bargello quilt, but was afraid they were too difficult. They are beautiful! No I have never made on but I sure would like to. I have never made a bargello quilt but these beautiful photos make me want to try! Bargello is beautiful but it has looked difficult for as long as I’ve been quilting which is 20+. I have never made a bargello quilt but I am open to try anything. I have never made a bargello quilt but always wanted to. This book would be great! I’ve been wanting to make a bargello quilt for some time, but I’ve been scared to start. This book would give me some incentive. Thx. I haven’t made a bargello quilt yet but I’ve admired them for about ten years. It’s definitely on my “want to make someday “ list! I made a hardanger bargello using pearl thread, and plan on making a quilt using the same method. I have a bargello/sweatshirt jacket started, but not yet finished. It is going to be beautiful. I made a bargello quilt over 30 years ago based on a tiny picture of a needlepoint pattern and it was hung in the 3rd International Quilt Festival in Houston as part of a collection of quilts from Ireland. A bargello quilt has been on my list for at least ten years. Not sure if I can do one without messing it up. I have not made a Bargello quilt but it is at the top of my bucket list. I would love to have this book in my quilting library! I have never made a Bargello quilt. It’s definitely on my bucket list of quilts to make. I’ve been wanting to make one for about 4 years or so…ever since finding out that they aren’t as hard to make as they look! I would really like to have your book. Your samples are beautiful. 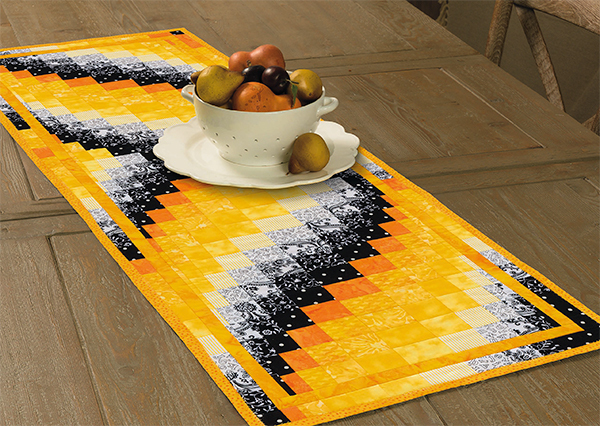 I especially like the table runner, I would of never thought to put yellow and black together. It looks great. I’ve never made one but it’s been on my quilting bucket list for ages. These new designs look awesome! Maybe it’s time to give it a try! I have yet to make a bargello quilt, but so want to make one! Judith’s encouraging methods appear to be just right to get me to the finish line! I would love to learn bargello quilting they are always so beautiful. Have thought about trying for a about 2years but am scared to try. Would love to own her book. Thanks for the chance to win. I have not made a bargello quilt, but it’s been on my bucket list for ages! My daughter made one years ago, and I need to do one soon! Eu nunca fiz a técnica de bargello mas gostaria muito de aprender! Translation: I’ve never done the bargello technique but would love to learn! Never made one. Always wanted to make a complex design. I have never made a bargello quilt…I think it’s time! I’ve wanted to make a bargello quilt for a long time. Each one I see is more spectacular than the last, and one of these days I’m GOING to do it! I have been aware of Bargello quilts for a very long time but haven’t wanted to make one until I saw yours! They are beautiful! I love bargello quilts. I could have so much fun with this book. I have never made one, but they are pretty. I am a beginner and have always loved LOOKING at Bargello quilts. You make it sound like I can do it. I’d love the book. I’ve never made one of these but have wanted for years to make one. I’ve never made a bargello quilt, but Judith’s beautiful designs convinced me to put one on my to do list! pattern he chose was torture. The bargello table runner here looks so fast and easy ! The birthday is 3 days away- so I would not have the time to start again on it and get it mailed to her. These are beautiful. I’d love to make one. Love these but have always been a bit intimidated by the complexity. Justin’s book looks like it is just what I need to get started. On my list; waiting for my book. I have made several bargello quilts. I’ve been collecting batiks for a bargello quilt for about 2 years. Can’t wait to get started! Have made three bargello quilts. Thx for the giveaway. Here’s hoping. Bargello quilts are amazing and I have always wanted to make one, but thought I wouldn’t be able to do it. I would love to have this book! I have never made one but it looks amazing and fun!! I’ve made 2 bargello quilts – a small wall hanging and a twin size. I love them and am planning to make another one soon. A bargello quilt has been on my list for a long time. Hopefully soon!! I love the baby quilt—would be fun for my first bargello attempt! I made my first Bargello quilt as a Christmas gift last year. I found a 2.5″ strip bundle in purples and pinks. I came out wonderful and the recipient loved it. I will certainly make another. I have been admiring and being nervous about trying bargello for several years. I would love to win this book! I have not made a bargello quilt, but it’s on my list! I have wanted to make a Bargello quilt for 6 years. I even bought a kit of beautiful fabric and then became intimidated by the pattern. Would love to try again with this new book! I am about to turn 61, and just started sewing around 6 years ago and finding that I’ve missed my mark for many years because I picked up on it very well. I just learned about the Bargello quilt in the last two months and I think it’s beautiful. I am itching to make one! I have not tried to make a bargello quilt yet, but it is definitely on my "to do" list. This book looks like an excellent way to gain the confidence to make one beginning with the easier ones and progressing to the more complicated ones. Thanks! These quilts are gorgeous! Have never attempted a Bargello quilt, but would love to make one. I have not made a Bargello quilt but I make colorwash quilts that I think would easily adapt to the bargello method. Since I have four in progress right now, I am looking for a way to change things up! As of yet I have not made one, but would love to take on the challenge one day. Always admired the Bargello quilts but was intimidated by them. But the gold table runner really peeked my adventurous side. I will be ordering the book because now its on the top of my bucket list. I never made one but have been interested for many years now. I have just recently gotten back into quilting, but love the look of a bargello, and would love to try it by making a table runner or small wall hanging. Would love to make a bargello quilt. It has been on my list longer than I can remember. They are so beautiful, but the thought of making one is so intimidating that it gets put behind on the list! I have always wanted to make one of these but fear it would be to difficult.I also do not to waste fabric. A Bargello quilt has been on my bucket list for a long time- this book and patterns are great. Can’t wait to try them all! I’ve never done a bargello quilt, but I did use this method to piece an Irish Chain and a Trip Around the World. 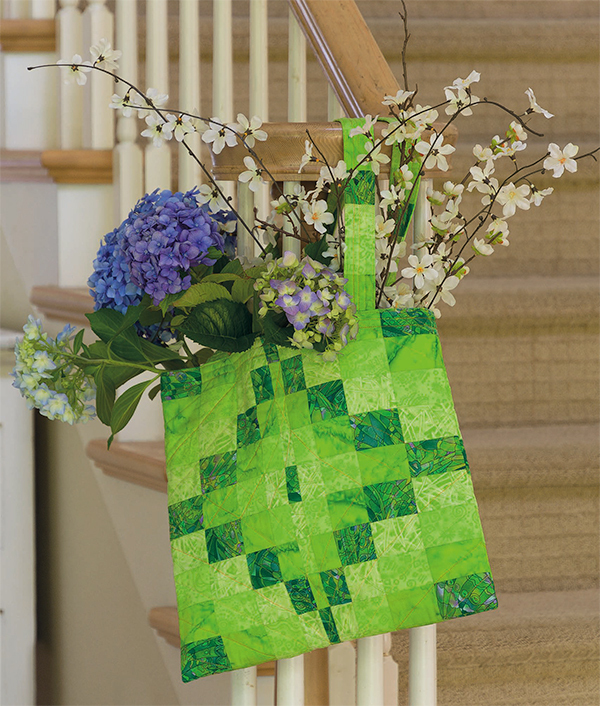 This makes stunning quilts so easy! I have been looking at bargello quilts for a while, but I am intimidated by them. Would like to try. Would love to win the book to get instructions. I have not made a bargello quilt but I have wanted to for at least 20 years. It is on my must do list so I would love to win a copy of this book! Thank you. This has been on my wish list for about three years! I’ve made two. The first one without a pattern–and it turned out great. I want to make a couple more. I have never made a bargello quilt, and never had a desire to make one because I didn’t have the confidence or the skill to make such a complicated piece of art. Judith’s quilts are beautiful and I’d love to give it a try withthe help of this book. I have wanted to make a bargello quilt for many years. I think it would make a great birthday gift for my great grand daughter. I started sewing when I was 12, and made a pair of shorts from one of the fabric sacks our chicken feed came in. After retirement, I started making quilts. Everyone gets a quilt at Christmas time. It takes me all year to get them made. I would love to make a beautiful quilt like this for family and friends as well. I have not made a Bargello quilt. I made some bargello quilts many years ago when they first became popular. We were all enthralled with the new rotary cutters, rulers and mats. Quilt making had become so much faster an easier with our new tools and we were anxious to try all the new techniques. The new book looks exciting, sparking new interest. A bargello quilt has been on my quilt bucket list for at least 25 years. I thought….when I retire.. But, ten years into retirement, I still haven’t made one. Someday, though. I promise. Yes, I’ve made several bargello quilts. My most difficult one so far was a king size bed quilt for my oldest son and his wife as a wedding present. I love bargello! I have been wanting to make a bargello quilt for years but afraid of not picking the right colors or sewing it together correctly. This book looks very interesting! So many quilt patterns so little time! I love these out of the box quilt patterns that use the color of the fabric to make the pattern stand out even more. Will hopefully get a bargello quilt done by the end of 2919. I like the idea of starting with a baby size quilt. Organization of the fabric is the key to success in bargello, I was recently told. This book looks like it is the first step needed to get the fabric organizing started. No, I have not made a bargello quilt, but plan to in the future. Thanks for the opportunity. A bargello has been on my list for about 20 years! I made a fall Bargello lap quilt about 25 years ago after I first started quilting. About 4 years ago, I took a 2 Fabric Bargello quilt class (with ombre fabric) and have made about 6 of them now, even teaching a class on them. Would like to someday make one with a heart or lots of movement in it. Thanks – Robert, from northern Iowa. I’ve made a queen-sized bargello quilt that resides on our bed. It’s in Southwest colors/fabrics and I smile every time I look at it! Bargello has been on my list of things to do list for too long. This is a lovely book. I have never made a bargello quilt, but have used the technique in a vest years ago. Love the movement it creates. a bargello quilt is definitely on my quilt bucket list. this book would be just the thing to move it to my finished quilt list. I think bargello quilts are amazing. I haven’t made one but it’s on my bucket list. I have wanted to do one of these beautiful quilts for at least 3 years. I’ve always thought they were beyond my skill. I’m really anxious to try a table runner first and then maybe a quilt. I’ve never made a bargello quilt, but I’ve been admiring them for forever. The easy projects featured here make it look approachable! Haven’t yet made a Marcello quilt. Have thought about trying a bargello quilt for some time. I haven’t made a bargello quilt yet but I am planning to very soon. I made a jacket using bargello method back in the 80s. I really like your inventive new patterns. I have always wanted to make one ever since I saw my first one. It was a big wall hanging at my friend’s house made with Christmas reds and greens. Wow that’s beautiful! I have never made a bargello quilt but would definitely if I win this! Our church quilters make quilts for a children’s home here in North Texas and this sounds like a fun and fast one the kids would love!! I started a bargello quilt for my sister many years ago, but misplaced the pattern. I really like the variety of layouts in this book! I am inspired to try again!! 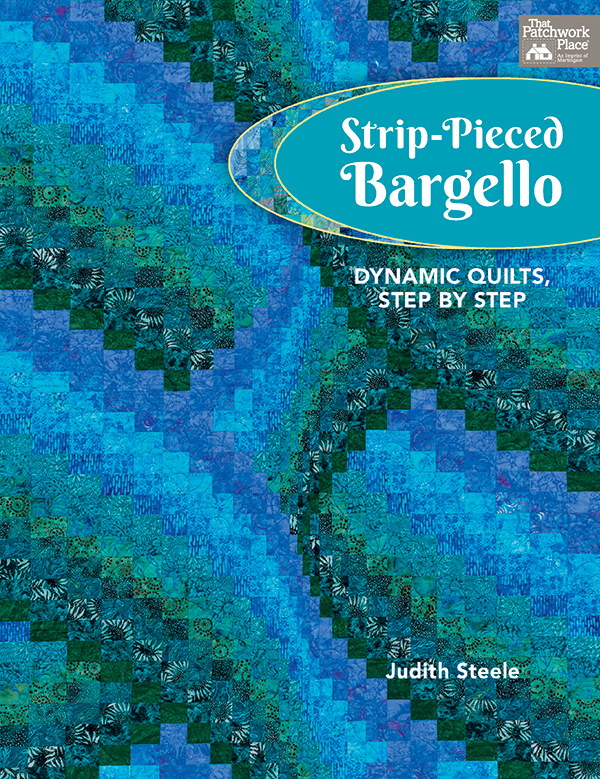 Would absolutely love to win this Bargello book by Judith Steele! This book has the best designs I have ever seen. I have not made a Bargello quilt as it seemed to be a daunting task. But maybe it is possible with the tips and techniques in this book. I have never made a bargello quilt but would love to try! I’ve been quilting a very long time and was always a little afraid of them. I have just completed a two fabric Bargello quilt. I decided to make it to spread my wings and learn new techniques. I found it quite a challenge. I loved the results. I’m ready to take another leap! Strip bargello sound REALLY interesting. I would love to try these new patterns. I’ve admired the gorgeous Bargello quilts for years, but have never attempted one. I have never done a bargello quilt BUT at this point of my life it is definitely at the top of my “bucket list.” The patterns and colors make these bargello quilts beautiful. I really prefer making wall hangings to quilts so maybe that would allow me to get this project completed. Would love to win this book and try bargello. I’ve never made a bargello quilt, but they are stunning. Perhaps I’ll try. 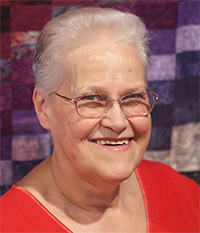 Recenty, a quilting friend started talking about teaching a bargello class. She showed me her ideas and that sparked my interest. It is now on my to-do list. I have always admired the bargello quilts but have not tried this yet. It’s on my "must try" list. I have always wanted to make a bargello quilt but the thought of matching all of those seams scares me. My bucket list for quilts keeps getting longer. After seeing the pictures from this book, I am adding a Bargello quilt! My sister and aunt used to do Needlepoint Bargello about 35 years ago. About 25 years ago I saw my first Bargello quilt. I’ve wanted to make one ever since! Making a bargello quilt has been on my to-do list for maybe 15 years! Maybe now is the time. I have always admired bargello quilts & have been very impressed with them at quilt shows. But, I have never made one of my own. Perhaps this is the year to finally plan one. I can’t wait to try. I am extremely fascinated with the Bargello quilts. I already have my fabric purchased and want to start on it (but I don’t have a pattern) as soon as I get t wo more UFOs finished up – that’s the goal that I’ve set for myself. I’ve wanted to do a bargello quilt for several years. Judith makes it sound easy and forgiving. Moving it up on my list!! A Bargello Quilt is on my bucket list!! I haven’t made a bargello quilt yet, but I would like to! love to try one of these! Bargello quilts are mesmerizing. Long story… made a quilt top and had quite a bit of leftover fabric so decided to try my hand at a bargello quilt to use as backing/part of backing, thinking "how hard can it be?" Well probably 15+ years later after making a mistake while adding borders, the quilt is still sitting in my UFO pile aka sewing room. I’ve toyed with the idea of using it to make a headboard instead of a backing, but first I have to finish it! I need the help of this book. Bargello is on my quilt bucket list. Have always wanted to do one. This book looks like a great way to take the plunge! A Bargello quilt is still on my to do list. It has been there for about 5 years now. One of these days maybe! I would love this book to help inspire me to get it done! Bargello quilts are on my "wanna list." I have not made a bargello quilt but it’s on my list. Would love to try this. They look great and I’m all for something forgiving. I have made a couple of bargello wall hangings but it was years ago. I hand dyed muslin and made the wall hangings in shades of burgundy and grey. They turned out great. I’ve wanted to make a bargello quilt for several years now. I would love to be your winner! I’ve thoroughly loved making one Bargello quilt and want to make more. I have not made a bargello quilt but really enjoy looking at them. This book sounds wonderful, thanks for a chance to win a copy! Bargello quilts are beautiful and I have enjoyed seeing them and wanting to do one since I first saw one done which was a couple years ago. It’s on my list and I probably have a jelly roll to use up, but its another one of my to do projects. I have made a round tree skirt which was fun. Have not made a large quilt, but love some of the designs. I’ve never made one, but they’re definitely on my list! I have made many quilts but not a bargello one. Would like to try one. I have made a 2 fabric bargello that was a lot of fun. I gave it a friend as a gift. I have made one, but would like to make more. Especially like the look of the tabletopper. I haven’t made a Bargello quilt but it’s been on my Got To Try list since I first saw one in person 10 years ago. I have wanted to try this for a few years now but just lack the courage to try. One day I will make one! I have only made several bargello Christmas tree skirts. I have never made a bargello quilt, but my 8-year-old granddaughter loves them, so we are in the process of making one together right now. I have not made a bargello! Think I would like to start with a table runner or bed runner. I made bargello adult bibs recently and found the design addictive! I enjoy looking at the Bargello quilts but I’m just a novice right now. Maybe, in a few years. I made a bargello quilt several years ago using a Moda jelly roll. The finished quilt was immediately claimed by My Little Sailor for his berth on the USS Somerset. I have never made one, Yet. It has been on my list for a while. Other quilts just keep inching ahead of it. I made one bargello quilt in a class, and am ready to tackle another! I’ve wanted to make one of these. They’re beautiful! I have not made a Bargello quilt but I think it would be a great technique for me to learn. I took a class and made one bargello lap quilt….loved the process. I have one in progress that has been put aside for awhile, and now I want to get back to it. It would be great to make a table runner too! I have made three bargello quilts and I have had a wonderful time selecting fabrics for the process each and every time! I love the results as well and the recipients have too! Your post about bargello quilts reminded me that I purchased a kit several years ago and never made it. I am going to pull it out and start immediately. I have never made a bargello quilt as they have seemed to be totally overwhelming and complicated. But they are absolutely beautiful. The blues remind me of the waves of the ocean. Yes I’ve made a bargello quilt many years ago. Maybe it time for a new version. I used 6 jelly roll strips to make a Bargello table runner. The process was not difficult (organization is the key). However, the choice of fabrics makes a big difference. I used busy novelty prints with many colors in each strip and it made the design too muddy. If I do it again, I suggest using solids, tone on tones, or blender fabrics. I love making Bargello quilts. Takes time but worth the effort. I have never made a bargello quilt, but I do love them and will be making one soon. I have not made a bargello design. This book sounds interesting and would inspire me. I have been eyeing up the Bargello technique for quite awhile. It’s on my bucket list! No, I haven’t made a bargello quilt, but ages ago I stitched bargello needlepoint. I have never made a bargello quilt, but I have wanted to make one for at least 20 years. Having done bargello needlepoint, bargello quilting has always had an appeal to me. I think this is a book I need in my library. These are definitely on my to-do (more like to TRY) list! They intimidate me as they are do gorgeous that one wrong can undo the entire look! Thank you, Martingale, for all your wonderful tips and tricks!!! And give-always!!!! A Bargello quilt is on my bucket list of quilt styles to try. After watching tutorials, it seems to be an easy style and takes a little planning. Bargello has been on my I can do this list for a couple of years. I saw a demonstration that made it look simple instead of too much for me. They are such stunning quilts. I’ve always wanted to do a Bargello quilt since I’ve been quilting, but they look so complicated, I just haven’t tried. Would love to learn! Bargello quilts have always fascinated me from the first time I saw one, it just hadn’t move to the top of my list to tackle. This book sounds like a winner to get me started. Years ago, made a heart bargello quilt for a friend at work. Also made several table toppers for Christmas gifts. Need to make another one! I have made a bargello quilt only in my head. It has been on my To-Do list for about 3 years. The book would help. I made a lap size bargello quilt a few years ago. I love the way they come together! I’m ready to make another. I have never made a Bargello quilt, but have wanted to for several years. They are just gorgeous, I just don’t know if my brain could make it work, this book looks like it would make the process much easier! Bargello quilts have been on my "do some day" list for close to a decade. They look so complicated that I keep replacing that item with much simpler patterns. Would be willing to take the risk on the tote bag or table runner. I’ve made several bargello quilts and I love the technique. There are so many ways to put them together to make the most striking patterns and movement. I’ve never made one, but would like to! Make a bargello quilt?…..it’s now or never….I’m 77!!! I think Bargello quilts are so beautiful. I’ve never made a Bargello quilt because I’ve always thought it was too complicated. Maybe this book could help me get started. I’ve only recently decided to make a bargello quilt. I’ve got the fabric! I have not made a Bargello quilt; however, it has been on my to-do list since I started quilting almost 5 years ago! I and a friend of mine last month shared that we’ve "always" wanted to make a Bargello ~ with this book, NOW is the time! I am intrigued by Bargello quilts but I’ve yet to make one–it looks SO difficult! I have not tried making a Bargello quilt yet, on my some day list. This book looks like one to get. I have never made a bargello quilt, but have done needlepoint in bargello. The quilts have lovely movement, don’t they? I have made a bargello but not quilt size. It is more of a table runner size. I never put a backing on it so it is still in my baskets of WIPs. wow, the pictured examples look pretty and I love the different variations… I made a bargello quilt about 15 years ago, before I was really even a quilter. Would love to win this book. I have never made a Bargello quilt. I’ve thought about it for years but it always gets pushed to the end of the line. I have never made a Bargello quilt but have wanted to. They look so complicated so have never tried. This book looks like it would make a good starting place. LOVE Bargello quilts! I’ve made several and more creations are in the future….I’m obsessed with all the different styles of illusion quilts and enjoy the process of "painting" with my fabrics. Have always wanted to make a bargello quilt. Winning this book would move me in the right direction. I have made a bargello quilt and used bargello in wearable art. Love the look and how easy it actually is to make. Thank you for the inspiration and the giveaway. I have made a couple of fairly simple Bargello quilts, but I want to make a more complicated one. I made a bargello using 20 different reds. Turned out beautiful. I have made a Bargello quilt. Beautiful projects! I have loved Bargello quilts since the early 90s when my Mum made her first one. 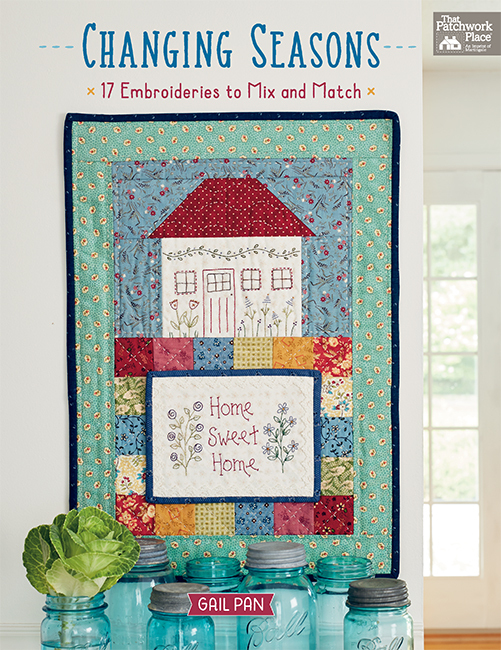 I am a newbie quilter so the beginner projects in this book look perfect, especially that baby quilt! I’ve got the fabric! The only thing missing is the needed help in making a Bargello table runner, wall hanging, quilt or anything! I made a barge quilt years ago! I would love to make another one! Way back in the mid-1970’s I learned to do bargello needlepoint (including four way designs). When I took up quilting again in the early 80’s (having learned to piece as a child from my grandmother), I thought about making a bargello. Here it is almost 2020 and I still have not done it! The photos for this book tell me that it is about time for me to dig in! No, never made one. They’ve always intimidated me! I made a simple Strip-Pieced bargello quilt in a class 20 years ago or so. Have wanted to try another ever since. I have never made one of these quilts, but would love to. I have never made a Bargelo but have wanted to for YEARs! es, I have made a couple of simple Bargello quilts. I have attempted to make a small bargello quilt for my grandson. He was wanting some things to put on his wall in his room at university. When he got it I think he was thrilled with it. I have on my bucket list to make a queen size bargello someday in the future. I have been sewing for about 55 years now but only been quilting since I retired about 5 years ago. Okay I confess, I have a UFO Bargello, partially sewn, in a drawer just waiting for the day that I can remember how to make it. Probably been in that drawer for nearly 15 years. This book would be the best inspiration for me to complete that UFO and then I see a couple others I would also love to make. I haven’t made a Bargello quilt but it’s definitely on my to-do list! I have made a bargello table runner but yearn to do more. These quilts would be amazing. I have never made a bargello quilt, but REALLY want to make one. This looks like a great book to learn from. I have never attempted to make a bargello quilt but I would love to give it a try. I’ve never made one. It’s been on my list for a few years now. I have not made a bargello quilt and wasn’t sure I wanted to but after seeing the ones Judith has in her book it is now on my list. No, I have never made a bargello quilt. I have pieced strips such as these and then cut out a vest to be sewn and worn. Table runners and quilts would be fun to make. I have never made a bargello quilt or even known it’s name. Wow, they are beautiful! This would be so much fun to do! I’ve wanted to do a bargello from the time I firt started quilting and saw one. They look so intricate. The book looks like a good place to start. I have made a couple of bargello tops but have never finished them. I’ve wanted to make one since I started quilting but never have. This could be my push to do so! Haven’t made one, used to think I would someday, but I’ve got so many other quilts in the pipeline the bargello quilt is still waiting. But the book would surely help to get me started, I’m sure! I have always wanted to make a bargello quilt, but have not attempted it yet. It is definitely on my to-do list. Bargello quilts have always been on my musr do list. So far they have made no progress further than the to do list. But Dancing Butterflies may just change their priority rating. I have never made one, but have always wanted to. No bargello work yet, but a table runner looks tempting. Hello: I’ve always liked Bargello in needlepoint and never knew right away when i started to quilt that you could make a Bargello quilt! this is something i would like to try. thanks! I have not made a bargello quilt, and I have too long a list to add one to it. I’ve never attempted to make a bargello quilt but have always wanted to try; I’m a bit overwhelmed at the details. I’m sure with the help of your book, I’d be up and running. Thank you for sharing your expertise with us! Oh boy! I have the fabrics, blacks to grays to golds for a quilt for my son. I need this book to help make the quilt a success. No, I have never made a Bargello quilt but now, after seeing these pictures, I want to make one. I have made one and just love it. It brings a sense a joy and my mood soars every time I look at it. Would so love to make more. It’s been on my to do list for some time now. I love the idea of a smaller version. I have been quilting for 14 years and have never tried a barbell pattern. I would live to try. I have made several Bargello quilts but want to make more in the future. I have never made a bargello but so want to do one. I made a small bargello, on a sweatshirt jacket, about fifteen years ago, and have wanted to make a bargello quilt ever since. I have yet to make a bargello quilt but it has been on my list for many years. I’ve not made a bargello quilt but have always wanted to.The book looks wonderful. The colors are mesmerizing; I love color and texture!! On the bucket list but just not gutsy enough to do one. Everyone says they are easy but have you seen one????? They look just sooooo intimidating!!! I have always wanted to make a bargello quilt but always felt it was too difficult. Would love to try it using this book. About 2 years ago I saw a bargello quilt for sale at a craft fair. I fell in love with the movement within the quilt. It is on my to try list, This looks like it might be the perfect book to guide me through this process. I especially like the pastel wall hanging above…so pretty and spring-like! I have not made a bargello, but it has been on my “to-do” list for at least 10 years. Love the quilts shown, including the table runner. Thanks for the chance. I have always wanted to make a Bargello quilt but have not taken the time to do so. They can appear to be so intriguing and I would sure like to try it sometime. I have never made a bargello quilt. Even though they are very beautiful, they look so complicated. I would love to make a bargello quilt with Judith’s easy strip-piecing method. I made a table runner many years ago. I didn’t really have an interest in bargello quilts until a couple of years ago as the thought of making one really scared me as they look too complicated. Recently, my daughter expressed an interest and hinted that she would like me to make her one so I would really love to win this book so that I can learn how to make them. Thank you so much for this opportunity. I have just started looking on pintrest and love the look. I am not a very experienced quilter but would love to make one. About 18 years ago I saw my first Bargello quilt and promised myself I would make one…I still haven’t as they intimated me. But one of these days! This book by Judith Steele might be the first one as a runner would be super to begin with. Have always loved the bargello quilts. the flow of the colors create a movement which is very mesmerizing. Have never made one and would love the book to learn how. I really really want to make this bargello style quilt but am afraid to start and waste beautiful fabrics trying. I would love to have a book explaining the process. Thank you for making somebodies dream come true. I have made one for my husbands 60th birthday, I used colours of the ocean. It was fairly basic, I would love to make something a little more complicated. I love the look of Bargello quilts and have made 2. These designs are so interesting. Yes, I’ve made one bargello for my husband. I would like to make another one, someday. These are beautiful. I’m very interested in making my first Bargello! I have not made a Bargello quilt (they look so difficult), but they have been on my want-to-make-one list for about 10 years (since I became interested in quilting)! I haven’t made a Bargello quilt but it’s something I would really love to make. I’ve never made a bargello quilt but they are so lovely! I have not made one yet but I’ve been thinking about it for 6 years! I have not made a bargello quilt, but my m-I-l made several of hese beauties! These are on my “want to do” list. This book looks fantastic for someone like me. made a small one, but would love to try something larger. I think of all of the quilting techniques, I love Bargello quilts and their effects the most of all. I’ve only made one Bargello but I definitely want to make more! I have made one bargello quilt. It has been on my wanna make list for about two years. I have never made one but I already have the fabric waiting as soon as I ever get up the nerve. Maybe your book will be the ultimate incentive. I would love to make one someday! I have made bargellos before and am working on one now, but I would like to learn the bit more complicated designs! Have not made one yet but it’s on my bucket list. These pictures inspire me. They are so beautiful! I have bargello quilts on my "to do" list. They are beautiful, and I always try to use a new technique when I choose projects. Just finished my FIRST Bargello top. It’s small , wall hanging size. I have never made a Bargello quilt, but would like to in the future. I did a small bargello pattern for a tote bag years ago. Just saw a stunner at a show and would like to try another. I find Bargello quilts absolutely fascinating! I have always wanted to make one but have never found the courage to do it. Thanks! I would love to make a bargello quilt. It has been on my list since I learned about them a few years ago. These designs are so pretty. These Bargello quilts are beautiful! I have always wanted to make one. I have made several from the Scrappy Bargello pattern. I make them with 2 Jelly Rolls. Mine are simple without all the gorgeous curves. One of these quilts is on my bucket list for sure! I made my first bargello quilt in a class at my local quilt shop. The instructor pushed us to use colors outside of our comfort zone for more impact. Since then I’ve made a couple more and love the way they come together. I would love a copy of this book knowing it would inspire me to create more complicated patterns. I have made a bargello quilt – a huge one from Eileen Wright’s book. And I have an itch to make another one. They really are fun! Have not tried bargello, but looks like fun & is beautiful. I have made two bargello quilts — a small one and a twin size. The pictures of the quilts in this book are beautiful and I look forward to having it to make another one. The most difficult decision will be deciding which one. I have made one as a baby quilt for my granddaughter. Everyone was impressed by how "hard" it was to make. I had a lot of fun and would like to make another one only larger and a more intricate design. These designs really do inspire me. Since I am at work I cannot just go home to my quilting room and start playing so I will have to keep planning until 5:00! I have made two bargello quilts and they are really fun. I made one with a quilting group. This is one quilt that should be made by one quilter. Uniform seam width is essential. I would like to try one on my own! I made one a very long time ago and loved the look although not as mesmerizing as Judith’s patterns. One of her patterns is definitely on my "to-do" list. I have made several small Bargello pieces and I really would like to try making a larger quilt. I like the photos from Judith’s book and I would be delighted to own the book. Thanks for the giveaway. I think I’ve admired bargello even before I started making quilts. Way back when I first learned to sew in home ec. Any time I came across them in catalogs I thought ‘I wonder if I could make that?’ Still haven’t tried! I’ve made 2 or 3 basic bargello quilts. The ones you’ve shown from the book are amazing and I would like to try something like that. I have made 4 bargello quilts, and I really enjoy choosing the colours for the most effective movement within the quilt. Judith’s book looks like it will help to address my hesitation about making one of those swirling bargellos going off in several directions. I made a really simple Bargello-ish jewelry pouch in the early years of my quilting but it was not as eye-popping as the bed quilt beauties I’ve seen since then. So making one has been on my "To Do" list ever since! A bargello is on my quilting bucket list. Along with a LOT of other quilts! These quilted pieces are beautiful. Gives me some motivation to attempt making a Bargello quilt. I love the baby quilt. I’ve been planning to make a bargello quilt for decade. I even have four blue and lavender jellyrolls waiting to make into a bargello quilt. I really must make one. These are so gorgeous. I have made one bargello quilt. It was so easy to make and turned out awesome! I’d love to try one of Judith’s patterns. I never have made one, but I would like to try! I am a total newbie, but am anxious to try making a Bargello table runner. I have not, but they are so pretty! I wish, hopefully someday! A bargello quilt has been on my "want to do" list for over 10 years.! Have attempted a bargello once…It was easy and the end result was nice, but I cut in half and made pillow covers out of the piece. Would love to have an expert’s help with fabric selection. The pics are stunning! I have made a couple of table runners, but have aspirations of someday making a larger bargello quilt like the ones in this book. Love bargellos but can always learn more. I made a heart bargello quilt many years ago. This book inspires me to want to make more bargello quilts. Yes, I’ve made a Bargello quilt. The quilt was made of rainbow fabrics from a Tula Pink collection. I have tried to paint bargello on things like a gourd with mixed results. I have wanted to make a bargello since long before I started quilting. They are my favorite style. I have made a bargello tablerunner in Christmas fabric but am eager to try a fill sized quilt! Would love to try a pattern from this book!! I became enamored with bargello quilts in 1996 when I first seated making guilts, but never had the courage to make one until I took a class last year and finished my first bargello quilt. I would love to branch out and make projects of different sizes and patterns and this book would be perfect. I have made a Bargello quilt and truly enjoyed it. I would love to make another one. A bargello quilt has been on my list for several years. I love the look of a Bargello quilt and have always wanted to make one. I love the look of several of the ones in this book. Thanks for a chance to win as you’ve now inspired me to make one soon. I’ve never made a bargello quilt, and hadn’t even considered adding one to my to-do list – looked too complicated! Thanks for the reassurances. I have never made one, but they ar e beautiful. I’m new to quilting and would like to add this to my projects to learn. I have never made one, but they are beautiful. I’m new to quilting and would love to add this to my project list. I have never made a bargello quilt but this book would inspire me to make one! 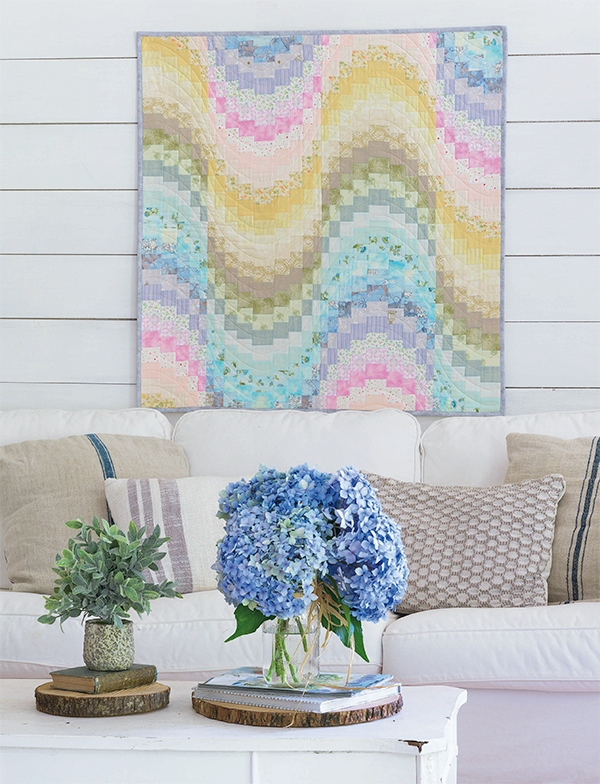 Judith’s pastel bargello quilt is so pretty. I’d love to try that. I have not made a bargello quilt, but it has been on my radar for a while. I think they are really beautiful. Would love to win this book. I have never made a bargello quilt but would like to. I epecially like the table runner you show here. Thanks for the giveaway! I started a Bargello well over 20 years ago that I never completed and probably never will!! I was terrible at choosing fabrics back then and the portion I did get done just looked like a horrible muddy mess! Time to try another! I have wanted to create something in Bargello ever since seeing a picture of Florentine embroidery, back in the ’70s….& I still love it! I have made 3 bargello quilts. I found the sewing tedious but loved the results! Bargellos are still on my bucket list. A good book of instructions might just "float it to the top"! I have made a bargello quilt in the past. Judith has some beautiful designs that make me see another one in my future. I have not yet made a bargello quilt. I haven’t made a bargello quilt but they look so beautiful I intend to make one. I just have to finish a couple of quilts first!! I have had bargello on my quilty bucket list for about two years. This book is gorgeous and would give me a great starting point. I made a bargello in a class about 10 years ago. I really want to make another one. This book sounds great. I made a bargello Christmas wall hanging over twenty years ago and have wanted to make a quilt – the process is quite fun! Thanks for the opportunity to win the book. I’ve made two bargello quilts and am itching to make another one. I have not made a bargello quilt but it is on my list to make. I have never made a bargello, but I would love to try. This book looks especially interesting. This is wonderful! Thanks for the preview, too. I’ve only made one bargello and want to make more. I make no sew quilted ornaments and just started my very first quilting class 3 weeks ago and I am hooked! I love the looks of the bargellos and would LOVE to make one of these. So excited for the opportunity to possibly win this book and give it a try! I have made 2 bargello quilts. I love them and would like to make more. Have always admired the bargello quilt but been to afraid to try it. Would love to win the book! I have not made a bargello quilt but have been intrigued with them for years. I’ve made one bargello quilt a long time ago. There have been several though that I’ve seen that are very tempting to me. I’ve never made a Bargello quilt, but I made many Bargello needlepoint projects. Would love to try this! I am in awe every time I see a bargello quilt. I haven’t made one yet, fear I guess. I would like to make one in memory of my Son that passed away last summer. 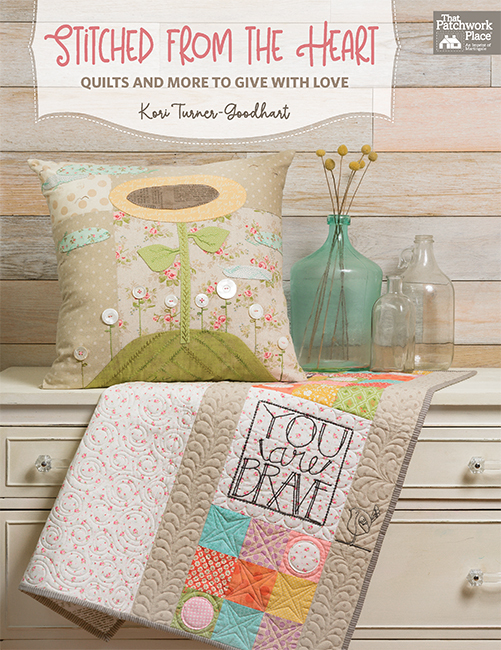 Your quilts are so beautiful! I’ve never made a bargello quilt. Someday I hope to. I made a scrappy bargello that was taught at my quilt guild – that was over 5 years ago. I am very interested in taking on a more challenging small quilt. 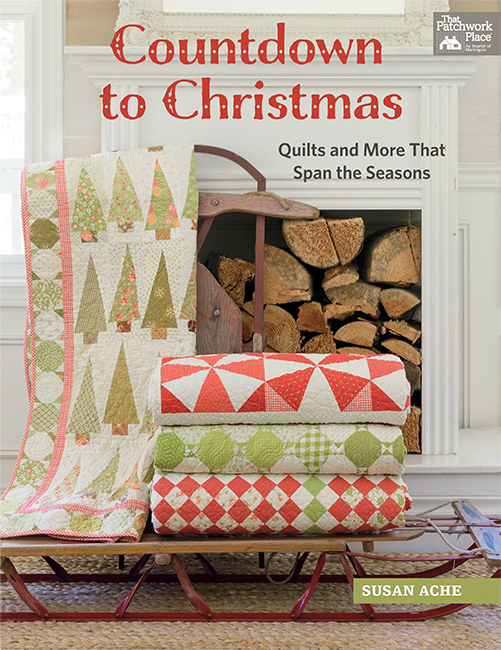 This book looks very interesting and has beautiful quilts. These patterns are over the top and I’m for sure adding it to my list this year! Hope to win! It is on my "to do" list, but I have never known where to start. I’ve not made a bargello quilt, yet. It is definitely on my to do list. I do so want to try doing a Bargello quilt and this author seems to be the one to follow. I have never made a bargello quilt but I’ve wanted to try one. This book looks great! I have been wanting to make a bargello quilt for ages and ages! Yes, I made a couple of placet/tray mats years ago using batik fabrics which were very satisfying to make. I also made a gorgeous convergence top, which uses a similar technique – just need to think what I can turn it into as it’s been a UFO for too long! I love the look of bargello quilts. I would love to have the challenge of making one! NEVER MADE ONE BUT LOOKS LIKE FUN. I have not made a bargello quilt, but it’s been on my to-do list for at least 3 years. I have 2 patterns, too! Does it count that I made a bargello needlepoint pillow top over 40 years ago!?! I have wanted to make one for a very long time. Now I am inspired to do one soon. Made a simple wave bargello quilt for my grandson, would love to make one with all the twists and turns. Bargello quilts were popular when I first started quilting in the early 90’s. I’ve wanted to make one ever since. Love the projects in the book. I’ve been looking for the right pattern for a long time an I think I just found several! The runners and quilts are beautiful! I like the idea of starting with a runner and progressing to a large quilt. I’ve been wanting to make a Bargello quilt "forever"! I stopped making big quilts for a while, but a Bargello is still tempting. Beautiful but have never made one. I made a throw size Bargello quilt and my daughter liked it so much, I gave it to her. I haven’t made another one yet, but I plan on it. It was a lot of fun!! I have never been courageous enough to attempt one, but absolutely love them. I’ve never made one, but I’d like to try! Bargello has been on my quilting bucket list for 3 – 4 years. I’m not likely to make one this year but one never knows when inspiration will strike! His has been my dream and I have bought books but they are hard to understand. I have been quilting for over 50 years as I learned at my grammy’s feet. I love appliqué, in fact I love it all. I just need the push to do this but I always fear wasting material so Bargello has been post phoned. I only do large quilts or I make 60 x 60 for sick people or people just struggling with things. I need to make one of these for myself. I used to hand quilt but I have been machine quilts. I believe if you don’t Quilt it you can’t say your a quilter, your a sewer so I do everything from start to finish. So all that is left on my bucket list is a Bargello and a civil war quilt. I just ordered Civil War quilt books through this site. Several years ago I did make a small bargello quilt. I enjoyed the process and I always thought I would like to make another one, but I did not want to repeat my first endeavor. This book could give me the inspiration I need to start another. I have been thinking of making a bargello quilt for several years and have even gotten fabric to do one. But it looks so complicated I just haven’t started one. I made one with scraps of many colors, so it didn’t have the same mesmerizing effect. I’ve always wanted to make a bargello quilt. I actually have a kit that I bought two years ago to make a Bargello quilt but have been really nervous to start. this book would be awesome to have so I can read about making a Bargello quilt and start with smaller projects and slowly work up to a large quilt. Thanks for the giveaway. These are beautiful! Definitely need to move to the top of my quilting bucket list. I have not made one but my grandson is planning to make one for his second quilt. The pictures from the book are inspiring. Would love to make a bargello quilt someday. Good evening… I’ve never really thought about making a Bargello style quilt, however, I do find them intriguing. I have always wanted to make a barbell quilt but thought they were too difficult. I made a Heart Bargello some years back–would love to make some of these new designs! I have had this on my bucket list of quilts. I think,I will start with a table runner — something to get my feet wet. I have not made a bargello but have been wanting to make one for a couple years. I have one lap size quilt to made, enjoyed making it but haven’t finished it so far. Love the pictures from this lovely book. I’ve had a bargello quilt in mind for several years. I have tried but it always comes up not roses! I want to make one for myself for a throw blanket. Hope a simple pattern will come my way! I have made a 2 fabric bargello, 2 medium size bargello wall hangings, and several small bargello wall hangings. I love looking at bargello and want to make another. 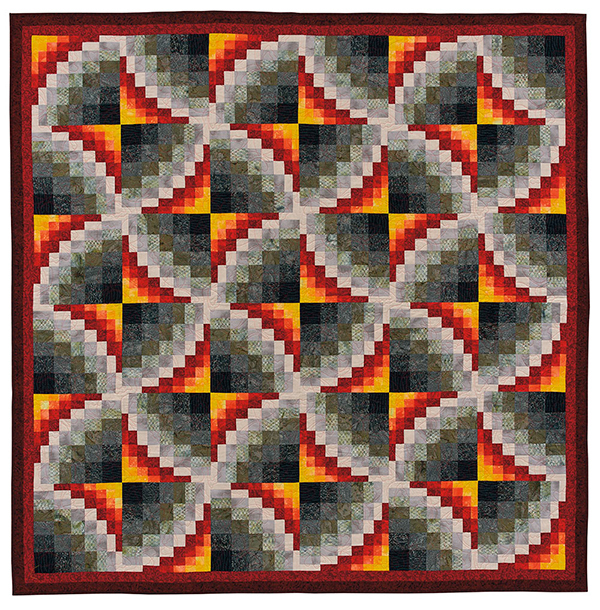 I have always loved the look of round or curvy lines in a quilt, so very interested in exactly how to do it. I think these would work great for Project Linus quilts as well as small quilts for nursing homes, which I already do, but a change would be wonderful. Thanks for this opportunity. I have never even tried to make one, but I would like to sometime. I’ve admired bargello quilts for a long time, but haven’t had the confidence to try one yet. That lovely baby quilt might be a place to start! I have never made a true bargello quilt but I took a class that taught a similar technique to make a "Trip Around the World" quilt. I used the bargello technique on the yoke of a jumper I made. I customized the curves to fit the pattern piece. I’ve wanted to make a Bargello quilt for ages, but my organizational skills are sadly lacking and I was afraid to try. Sounds like this book does the organizing for you, so I am thinking again about trying to make one. I have not but seeing the quilts in the book makes me want to. I made a bargello quilt for a niece more than 25 years ago. I used rainbow colors and quilted it by hand. Since then, I have made many other quilts, but I would still like to make one for me. I’m sure I don’t remember how I made the first one! I made a queen sized bargello about 3 years ago and would really love to try another. This book has some interesting designs. I’d love to make a bargello and this book hopefully makes it simple. Thanks for the chance to win. I have done a lot of pieced quilts but never a bargello one.mi would love to make the baby quilt but even more the dancing butterflies. I love the flow of bargello quilts and would love to win this book so I could learn how to make one. Thank you for the chance to do so. I’ve seen a few bargello quilts, but never really got bitten till I saw the quilts in this article. Now I want to make one!!!!!!!! I have wanted to make one for about 15 years and just haven’t taken the time to figure out how to do it. I have never made a bargello quilt, but would love to give it a try! Made one with Eleanor Burns video but never quilted it. Don’t remember how it was made. Its my favorite kind of quilt. Need to learn how to make again. I’ve made an easy baby bargello and I loved it! I’m ready for something more! I have never made one, but keep collecting information and instructions on the process. Someday, I hope to complete a bargello! !